Home > About Us > Physicians > Hey-Joo Kang, M.D. 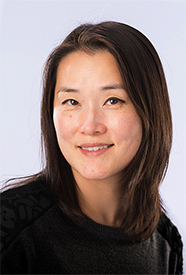 Dr. Hey-Joo Kang is an Associate Professor of Clinical Obstetrics and Gynecology and Clinical Reproductive Medicine at The Ronald O. Perelman and Claudia Cohen Center for Reproductive Medicine (CRM) of Weill Cornell Medical College. Board certified in both Obstetrics and Gynecology and Reproductive Endocrinology and Infertility, Dr. Kang offers patients the full range of assisted reproductive technologies and treatments in her practice, with areas of special interest including ovulation induction, in vitro fertilization, fertility surgery, endometriosis, recurrent pregnancy loss, polycystic ovarian syndrome and male infertility. Dr. Kang earned her medical degree at the State University of New York at Buffalo, where she was a member of Alpha Omega Alpha, the national medical student honor society. She completed her internship and residency in Obstetrics and Gynecology at NewYork-Presbyterian Hospital/Weill Cornell Medical Center, earning the Excellence in Teaching Award as a chief resident. Dr. Kang finished her training with a fellowship in Reproductive Endocrinology and Infertility at CRM. Directly after her fellowship, she joined CRM’s faculty. Dr. Kang is a Fellow of the American College of Obstetricians and Gynecologists and a member of the American Society for Reproductive Medicine. In addition to her clinical responsibilities, she has authored and co-authored numerous articles and textbook chapters in the field of reproductive endocrinology and infertility. Dr. Kang continues to conduct research in the areas of embryo implantation as well as epigenetic factors related to IVF success. Dr. Kang sees patients at CRM's main office on Manhattan's Upper East Side and in Garden City, Long Island. For more information or to make an appointment, contact Dr. Kang’s office at (646) 962-5626.